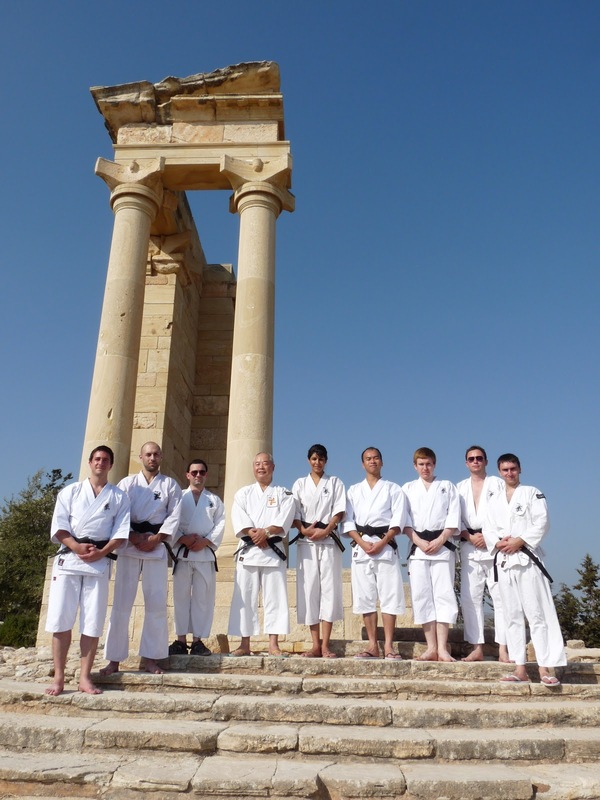 Last week, three City regulars, Sensei Rob, Ben and Jonathan attended the annual Leader's Seminar in Limmasol, Cyprus, along with fellow kenshi and friends from London, Bristol, Prague, France and Switzerland. 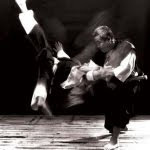 It was an intensive one week course focusing on advanced principles for juho and goho, and also shakujo training. Not to mention great fun catching up with friends old and new, eating as much meze as possible, and taking in the wonderful sun, sea and sights of Cyprus. 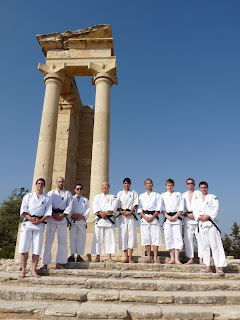 Many thanks to Mizuno Sensei, Yasue Sensei and Teles for making it possible once again!